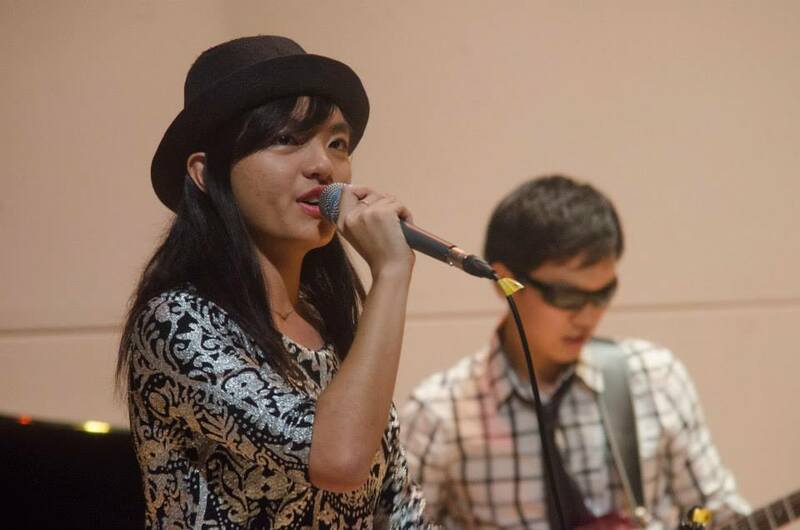 Widely regarded as one of the most prominent events on the ARTSeason Calendar, Raffles Jazz’s concert “Like A Boss” certainly lived up to the hype surrounding it. Hosting a fully packed crowd to the point many were forced to sit on the steps, Raffles Jazz opened the show with the curtains closed, a string of sweet, lone notes trailing behind them. As the curtains parted, Raffles Jazz’s first band opened the show with the upbeat “Spain”, setting a relaxed atmosphere that would last the rest of the night. After the opening song, the emcees, Andrew Chia and Victoria Yeo, stepped out to formally welcome the audience. Decked out in well-coordinated outfits, the emcees further lightened the mood with their cheerfulness and lame (and sometimes painful) puns, which only promised a chill, laid-back evening. 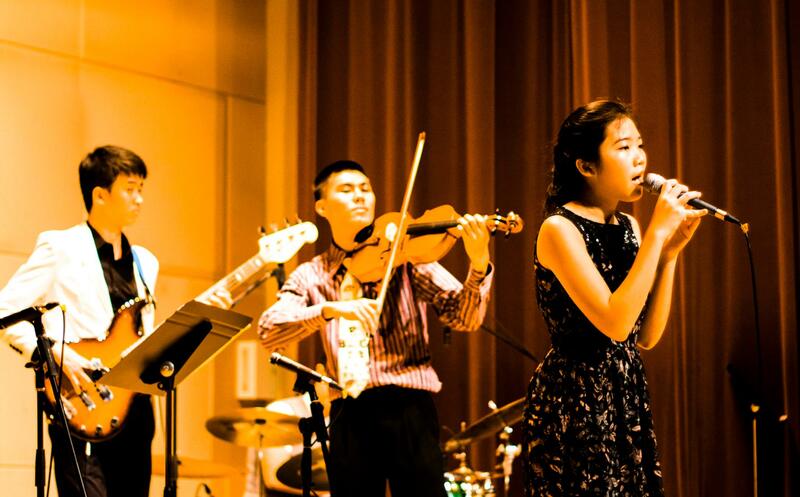 The concert segment displayed the incredible talents of the Raffles Jazz members, performing passionate and expressive renditions of songs such as “I’ve Got You Under My Skin”, written by Cole Porter and became a signature Frank Sinatra song, and “The Chicken”, originally made famous by Jaco Pastorius. Most of the songs also featured solos by each instrumentalist, their abilities on stage also matching their enthusiasm. Many of the performers clearly held those sharing the stage with them in high regard – saxophonist Andrew Chia commented of how anxious he was “playing beside a great trumpeter (Quek Qian Yi)”, and how “pressurizing (it was) to play at her standard.” Despite the nerves, it was clear every performer had a unique ability that provided an added edge to each performance, with the various instruments complementing each other in perfect harmony. However, the highlight of the show’s initial segment was its finale, a cover of “Virtual Insanity”, originally by Jamiroquai. Lead singer Brillia was, simply put, brilliant – her bright voice coupled with her cheeriness and powerful stage presence lit up the stage. The complementing instrumentals further enhanced the performance. For example, the violin and viola brought depth and character to the piece, while the keyboard added a modern touch to a song now 17 years old. Raffles Jazz’s rendition of this funky tune was well received, and was indeed a great end to the first half of the evening. 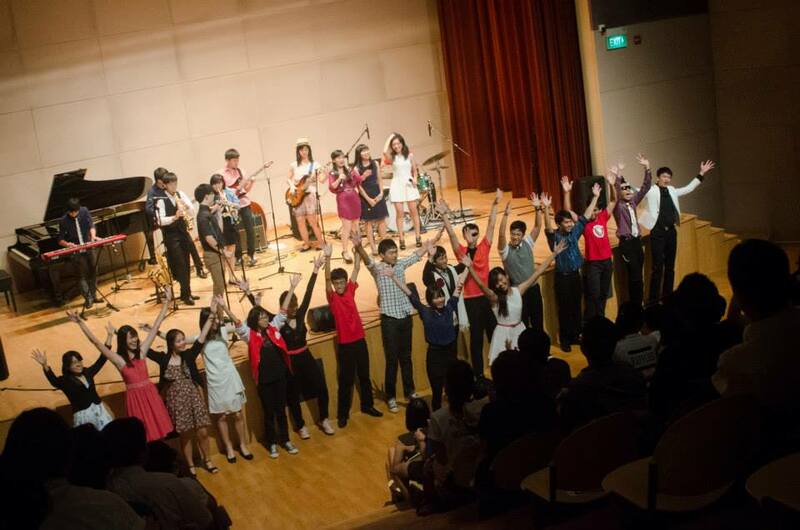 Traditionally, Raffles Jazz has always “jazzed up” a usually standard concert format with a ‘musical’ segment featuring scripted staging and acting, and Like A Boss was no different. After a fifteen minute intermission, as Raffles Jazz returned to kick off their with a song entitled “Zoot Suit Riot”, they emerged onto the stage in masks and bearing guns, only to be “shot down” by the end, quite literally starting this segment with a bang. 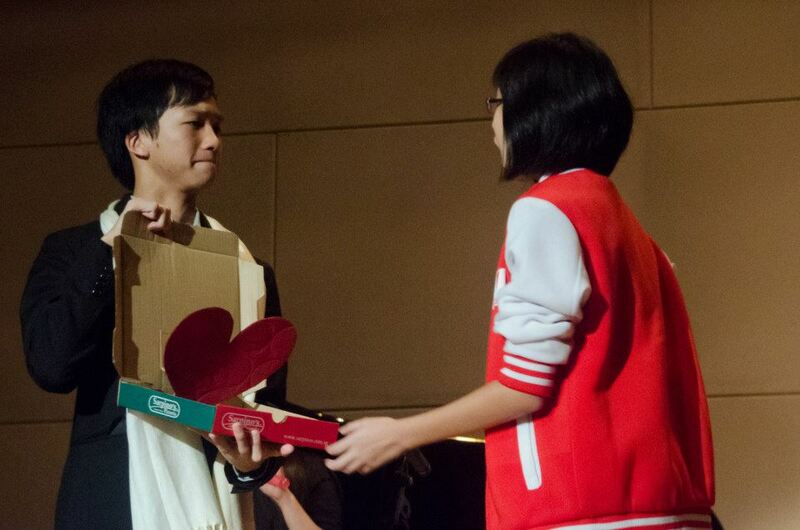 Featuring a witty script coupled with more cringe-worthy puns, this stray off the usual concert course proved to be a pleasant surprise, the highlight being the effeminate boss of the main character’s rival agency Hunter Skywalker, portrayed by Lin Qi, who not only stood out with his convincing display, but also brought much laughter to the crowd. The finale piece, For Once In My Life, featured various characters getting together with their love interests from the musical, including main characters Jack and Jill Doe, who performed a short Broadway-style dance. Though clichéd, the “happily ever after” fairy tale ending never gets old and got the approval of the audience, who cheered for the rather cute (yet sadly fictional) couples. Not forgetting the people who worked so hard behind-the scenes, Raffles Jazz ended the evening making sure to thank everyone who played a role in their performance, most notably teacher-in-charge Ms Jina Foo. When spoken to about how she viewed the experience as a whole, she mentions how she finds working with the Jazz musicians a joy. “They are humble and willing to improve,” praised Ms. Foo, who willingly stayed back almost every day to let the musicians practise until perfection is achieved. “I look forward to work with them again for future concerts”, she declared, hopefully a sign of more to come. After the lights dimmed, the audience clearly couldn’t get enough of the catchy jazz tunes as they chanted for an encore. 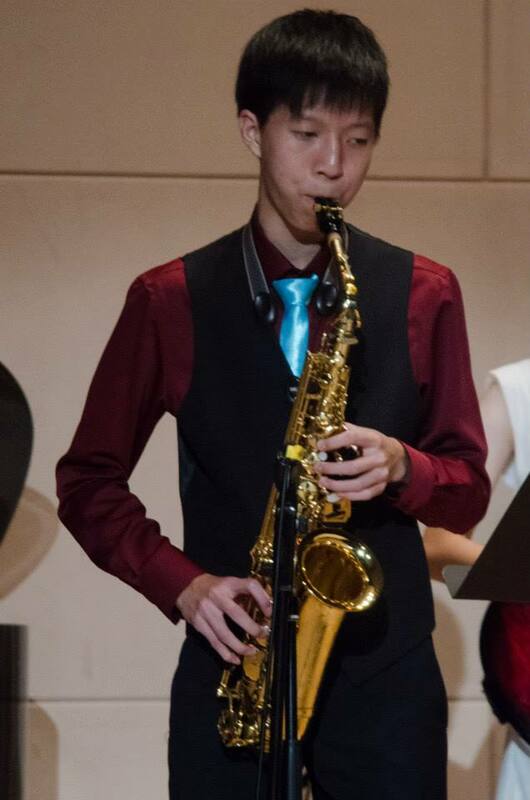 After some time, Jazz members returned to the stage to perform September by Earth, Wind and Fire, while the other non-performing members danced along to a performance that summed up the sheer quality and talent on offer for the night. Unbelievably, some of the performers on stage that night had little experience performing on stage. Pianist Jennifer Ho admitted that she was very nervous before the concert, as this was the first time she had played music and acted in front of a live audience for quite a while. Likewise, drummer Timothy Tan found the experience incredibly rewarding, adding that while “the rehearsal process was really sapping and trying at times, I had a lot of fun preparing with my CCA mates”. Incredibly, some of the performers were playing parts outside of their comfort zone – when we spoke with her, Jennifer also humbly admitted, “I am not very classically trained like the typical pianist. I stopped attending piano lessons once I had my Grade 5 exam.” That said, any deficiency went well unnoticed, the top-notch performances still full of emotion and stunning quality. Looking ahead, many of the performers on stage were Year 5s, and their ability to match up with their experienced seniors promises an even better show next year. On the whole, Like A Boss was a great showing from Raffles Jazz, and certainly entertained all in the audience who wished to unwind after a hectic week at school. Like A Boss was definitely worth catching, and certainly was a highlight of ARTSeason 2013 thus far. My personal favourite was definitely nature boy. Really loved how they did such a great emulation of Kurt Elling version. I also enjoyed Chicken, it was spectacular!